One of the many beautiful attributes of The Wauwinet is its unique, charming decor. 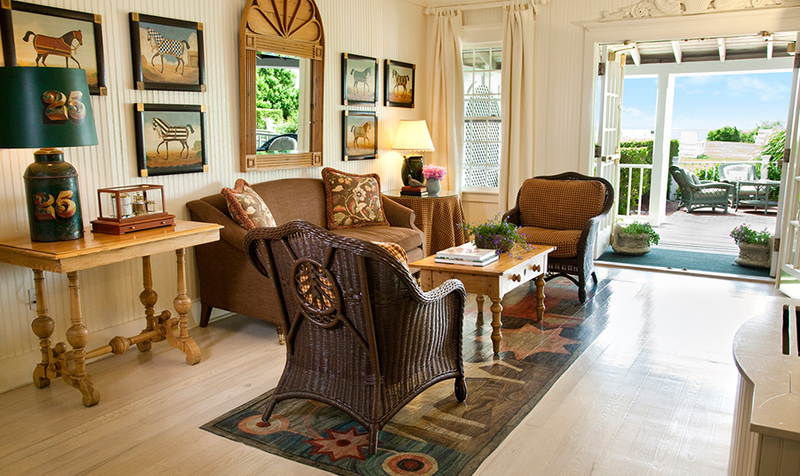 The hotel is beloved by its guests, visitors, and staff for the comfortable furnishings and one-of-a-kind touches bestowed upon each guest room, and these hand selected elements of style also extend into the hotel's welcoming public spaces. 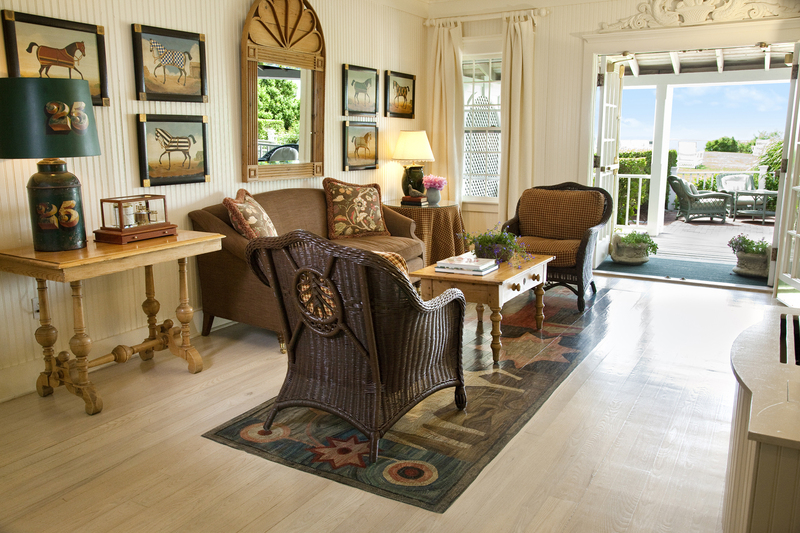 This winter The Wauwinet managed a thorough "spring cleaning" of the building, completing many improvement projects, and one very unique project was also underway; the restoration of an area of hand painted floor in the hotel lobby. 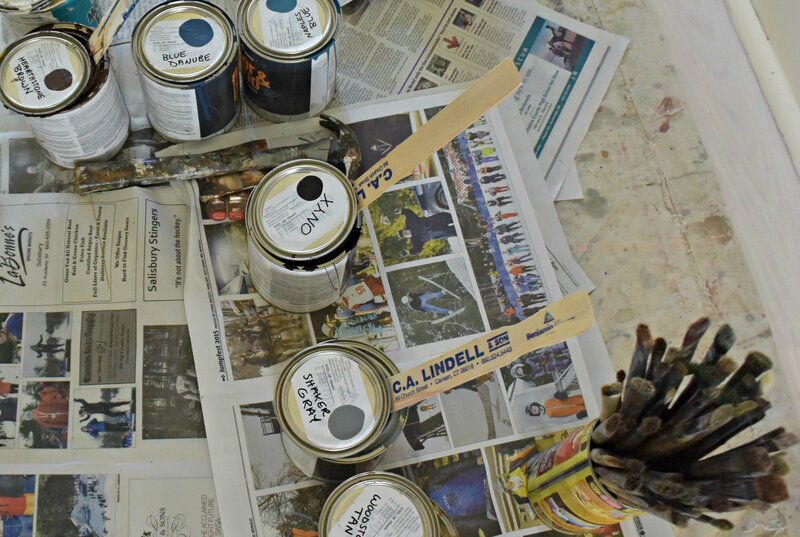 With guests on hold until spring opening and furniture relocated, the hotel lobby is transformed into something of a quiet art studio for a few weeks. 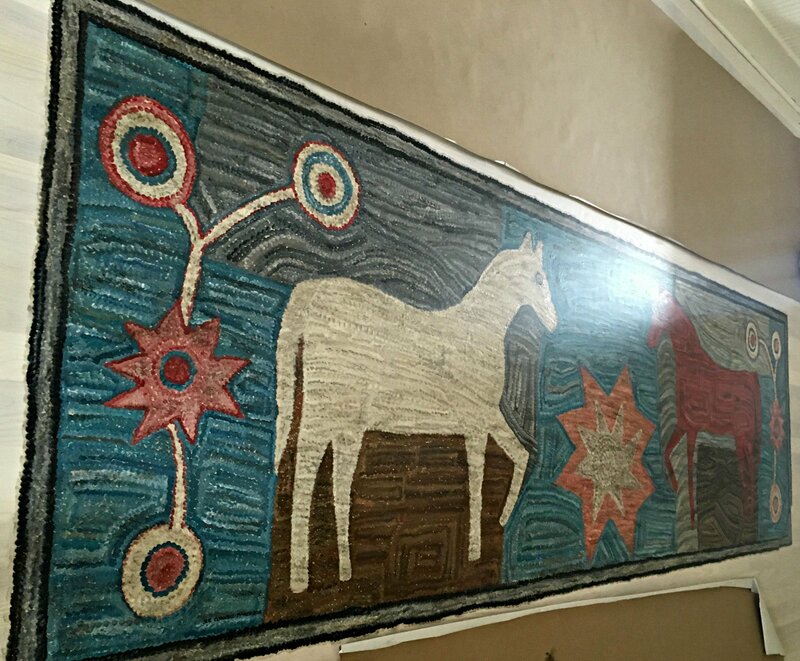 First completed over twenty five years ago, the floor painting is designed to resemble an antique hooked rug. 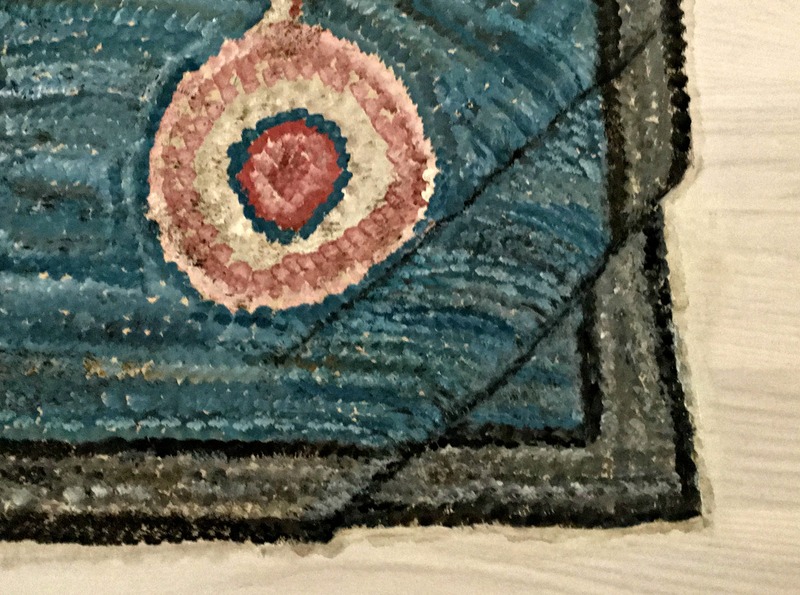 Many would agree that the painting does more than mimic an actual rug- Nantucket Insider knows more than a few visitors who have been fooled by the painting's incredibly realistic appearance! We caught up with artist Sue Connell as she spent some time this winter expertly restoring the work of art as she first created it in 1988. Sue hails from the Berkshires, has a degree in Art Education and fell in love with the decorative arts back in 1974. Her background is focused on restoration of American antiques and folk art, which she says is an ideal combination in this line of work from the color sense one gets in terms of studying antique objects and artwork. She has completed projects in many different settings, including private homes from the mountains to the coasts, clubs, commercial settings, and an extensive project for the New Britain American Art Museum in Connecticut. 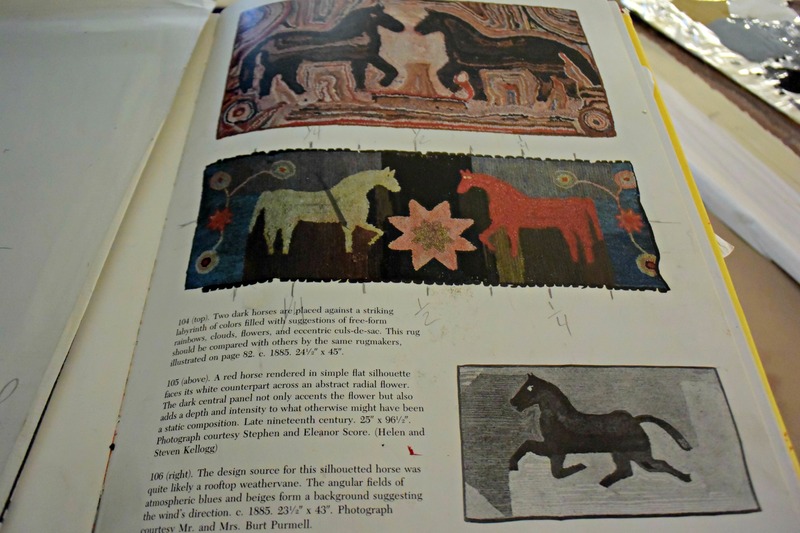 For work like this 'rug painting' at The Wauwinet, Sue references imagery of the actual nineteenth century rug the work is based on, and also her knowledge of the way that such hooked rugs are made. This is critical as the paint application must be done in a certain pattern of layers to achieve the appearance of an authentic rug texture. 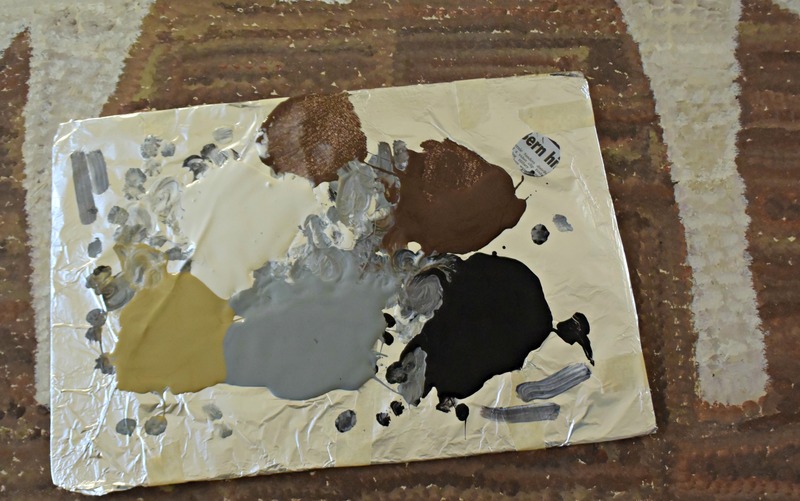 There are at least five individual shades of paint to make up one color area of the 'rug'! After roughly ten days of work, this restoration project is complete, and will soon once again be enjoyed by The Wauwinet's seasonal guests as the hotel opens on April 21.